Day view of Van Don International Airport. 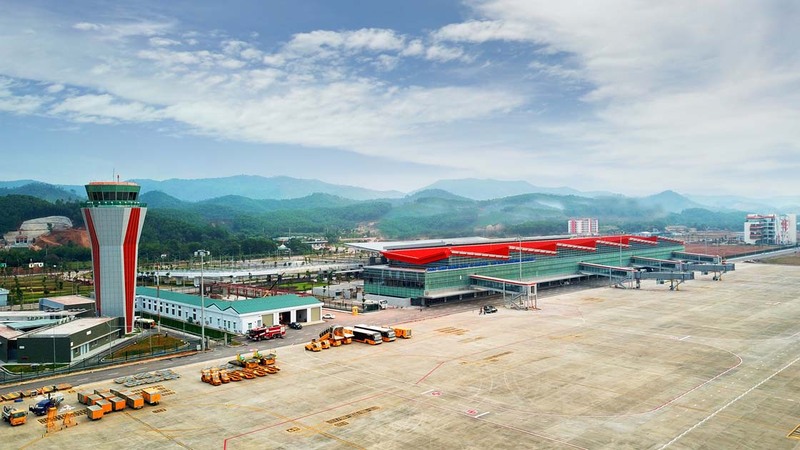 After two years of construction, Van Don International Airport opened on 30 December 2018 in Quang Ninh province – home to the UNESCO world Heritage site Halong Bay – just 220 kilometres from the capital Hanoi. This is the first ever international airport in Vietnam to be developed by a private company, namely, Sun Group – the country's premier developer of tourism, leisure and entertainment-focused properties and projects. With a total investment of VND7.463 billion (US$310 million), the airport was constructed with the assistance of NACO (Netherlands Airport Consultants), one of the world's leading airport consultancy and engineering firms. “It is the most modern airport in Vietnam. It will have positive influences on the passengers’ experience here in the airport," said Romy Berntsen, a project manager and architect from NACO. Besides being equipped with the latest airport technologies in the main terminal, and a state-of-the-art runway, the new airport features a beautiful design inspired by the heavenly Halong Bay, which is just 50 kilometres away. On the same day, Sun Group officially unveiled two more major new infrastructures projects in Quang Ninh, namely, the new Halong-Van Don Highway and Halong International Cruise Port. The new four-lane, 60-kilometres-long highway will reduce travel time from Van Don Airport to Halong city to just under 50 minutes.